Get quality international cuisines at market styled NEXT2 Cafe. 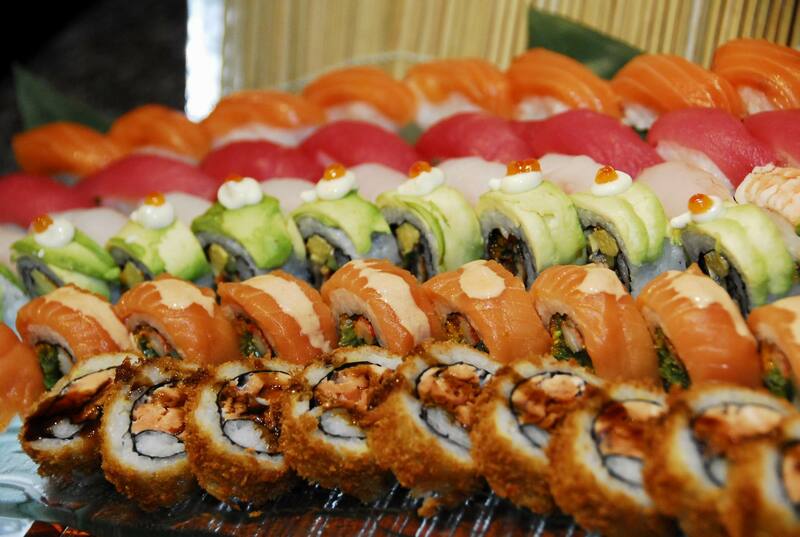 Renowned in Bangkok as one of the best buffet restaurants, NEXT2 Cafe is an international foodie’s paradise. The market-styled decor allows diners to roam the room, pick up their favorite dishes while witnessing chefs prepare food at kitchen stations. The Indian cuisine station is a local favorite so be sure to order some fresh naan. Every Thursday night, guests may delight in the refreshing “Taste of the Mediterranean”, the heart-healthy cuisine covering regions from southern Europe to Arabia. The “Taste of the Mediterranean” features mouth-watering international dishes at Bt1,900 net for adults and Bt950 net for children aged 4 to 11 years. 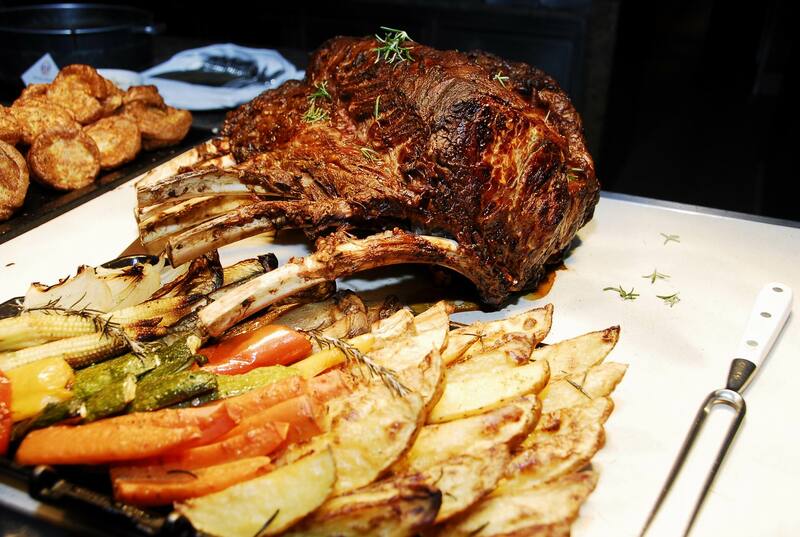 Highlighted signature dishes at the Thursday buffet dinner include Chorizo Sausages and Roasted Ribs, as well as cooked-to-order Black Pig Schnitzels made with growth-hormone- and chemical-free pork and keta salmon. NEXT2’s Executive Sous Chef Phillip Taylor uses sustainable black pigs from an environmentally friendly farm, which are raised using modern technology to reduce carbon footprint. Meanwhile, the MSC (Marine Stewardship Council)-certified keta salmon from the deep cold waters of Alaska is caught through sustainable traditional fishing methods. The salmon is naturally less oily than regular salmon and, thus, has a lighter colour and is suitable as sashimi or for curing. On Friday nights, the restaurant will offer “Surf and Turf” buffet selections, priced at Bt2,200 net per person. 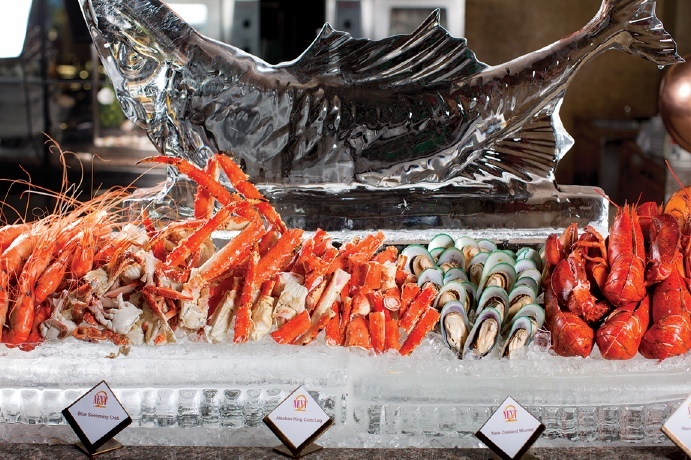 Celebrate the last working day of the week with sumptuous international dinner buffet highlighting the heavenly combination of premium imported meats and a parade of scrumptious seafood. 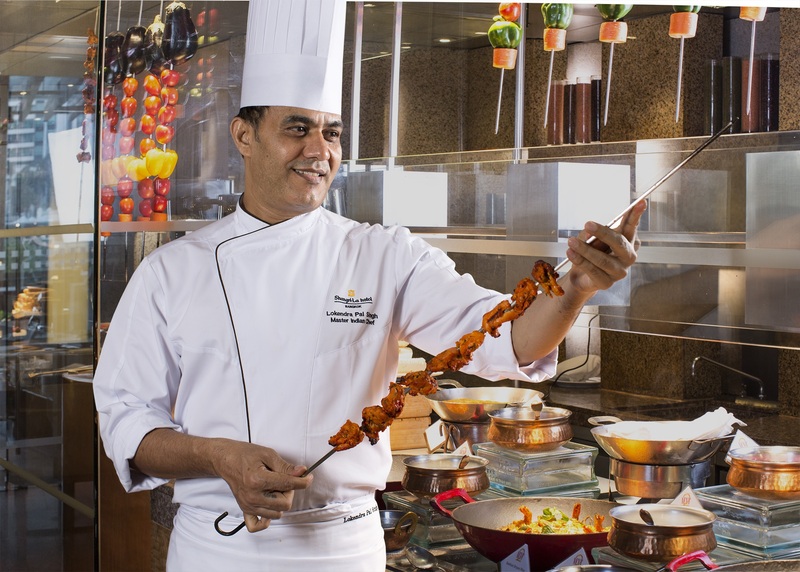 Diners can savour a selection of grilled Surf-and-Turf dishes, along with steamed and fried seafood and meat dishes from live-cooking stations from salad and sushi, carvery and western specialties to barbecued skewers by the terrace. 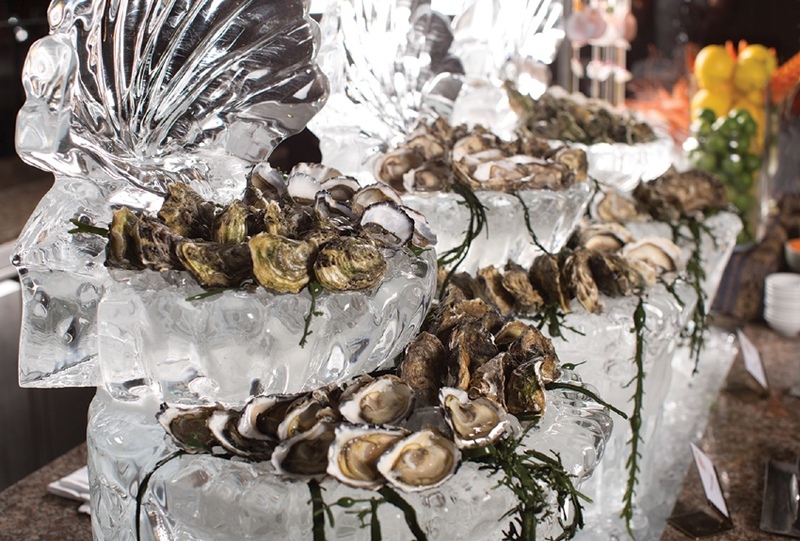 Highlighted dishes include Canadian Lobster and Bacon Slider – Squid Ink Brioche Bun, Roasted Lobster, Tomato Relish, Bacon, Tomato and Cos Lettuce Hearts; and Seared à La Minute Wagyu Steaks and River Prawn served in small bamboo baskets with Herb Butter. For more information and to make a reservation, guests may call the hotel’s restaurant reservations with the contact details shown or you can book online at http://www.shangri-la.com/bangkok/shangrila/offers/section/dining/details/dining/surf-turf/. Come out for the best of Bangkok’s five famous street foods – the hidden gems known only by locals and a wide range of authentic international dishes highlighting premium seafood from live-cooking stations. Two qualified street food listed in the 2018 Michelin Guide Bangkok Bib Gourmand which diners can enjoy for dinner are the popular Hainanese-style Chicken Rice of Go-Ang, which has been available in the Pratunam area for more than 40 years, and Chaozhou-style Braised Pork Leg Rice Charoen Saeng Silom featuring tender braised pork meat in a rich aromatic gravy with Chinese spices and herbs. The Street and Seafood Night is available every Saturday at Bt2,200 net for adults and Bt1,100 net for children aged between 6 and 12 years old. Diners may opt for enjoying five street food dishes only at Bt888 per person. For more information and to make a reservation, guests may call the hotel’s restaurant reservations with the contact details shown or you can book online at http://www.shangri-la.com/bangkok/shangrila/dining/offers/details/street-and-seafood-night/.